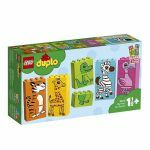 Inspire your little ones with LEGO DUPLO toddler building blocks. 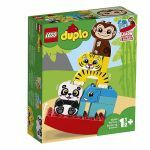 JustBricks have Australia's best range of LEGO DUPLO sets online, from vehicles to animals, faraway lands to friendly faces, with our colourful imagination toys your kids can indulge their fantasies and build to their heart's content! 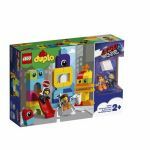 Kids love DUPLO because it allows them to explore their imagination and play creatively by themselves or with friends or siblings. 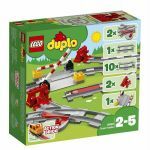 It's also a fantastic toy for their development, allowing kids and toddlers to develop their coordination from holding and pushing together all the different sized and shaped bricks. 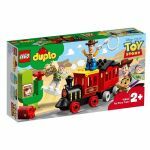 DUPLO can also help teach your toddlers how to cooperate and share when playing as part of a group. 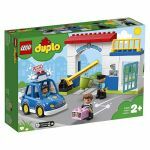 DUPLO bricks are bright, fun coloured pieces and are twice the size of ordinary LEGO bricks – making them perfect for small hands and growing imaginations! 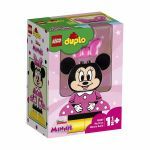 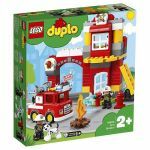 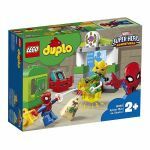 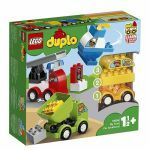 LEGO DUPLO sets are best suited to toddlers and kids aged from 18 months up to 5 years of age. 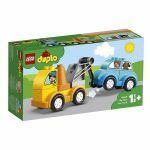 Browse and find the perfect DUPLO set for your toddler, and easily buy online with our secure payment options. 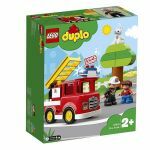 Shop at JustBricks today for the best prices and fast shipping on all LEGO DUPLO Sets.